So today the hotel organised a car to take a lovely German couple and me to Hoi An (again, cannot recommend Frangipani hotel enough, so incredibly helpful and friendly). 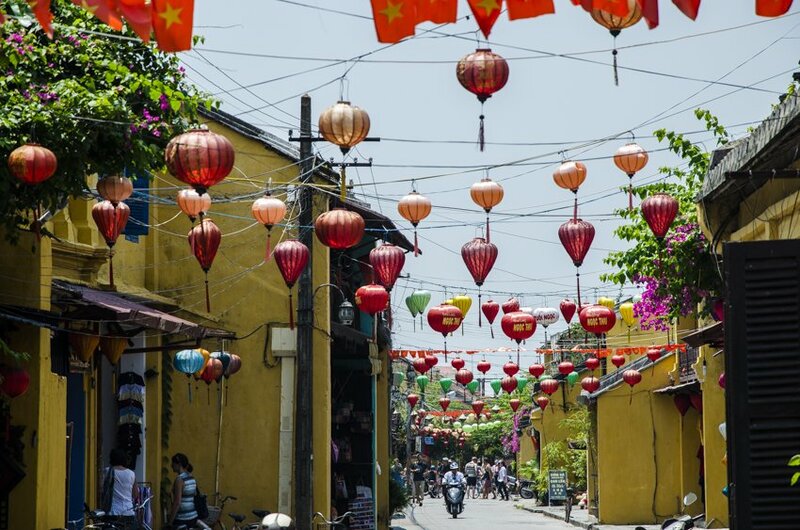 We soon discovered a day is not enough to experience all Hoi An has to offer, however we tried to make the most of it. After we had already pretended to be part of a German tourist group and had gone over the Japanese bridge we realized you are meant to buy tickets for all of the main tourist attraction places ?. Once we had our 5 visit ticket we had to prioritise which old houses, pagodas and temples we wanted to see. Of course you can buy more tickets but to be honest the old houses and pagodas started looking the same. I would recommend you visit at least one old house as some are 7 generations old with families still living in them. You need a ticket for the Japanese bridge (not the big bridge going across the river with fish on it as we originally thought) which I would recommend just because it’s different and then I would do your research and pick what interests you. I wished I could have stayed until it was dark as I think there are some great night photography opportunities to be had with all the lights and lanterns hanging up. 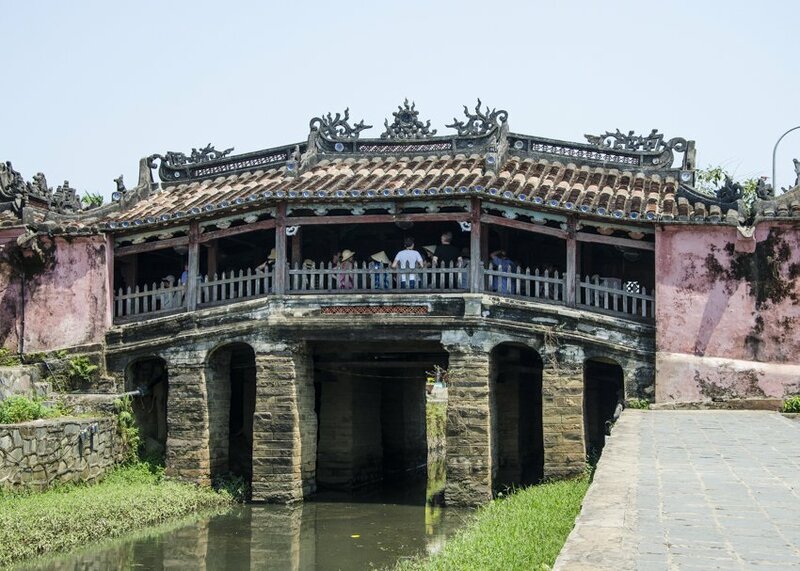 Hoi An also has excellent shopping opportunities, both for souvenirs and clothes. The three of us bought some traditional lanterns at a good price from a shop that made them right in front of you. What I was most disappointed by was that I didn’t have time to get some clothes made because I need more clothes like I need a hole in the head ?. It is a roaring trade in Hoi An and some of the tailors look very professional, others look pretty cheap and nasty, so beware, you do get what you pay for. It is a great place to just wander around and soak up the culture and history. A visit to the market is also recommended. We enjoyed a great sampling plate of Vietnamese specialities at Hai Cafe for lunch, it has a node courtyard garden out the back. Many places offer cooking classes which I would have liked to have done if I’d been there longer. Later that evening the Germans and I went to a restaurant not far from the hotel and had some delicious seafood. I laughed when we arrived because the main guy took us to the tubs of seafood and told us to pick what we wanted and then when he was trying describe a particular salad to me and just took me into the kitchen to show me the banana flower. We have all been trying to be careful with what we eat so that we don’t get sick but then realized our plight was useless when we saw women washing dishes in bowls on the footpath outside the restaurant. Oh well, we’ll see what happens.